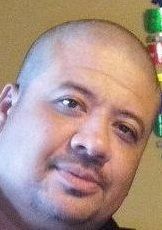 McALLEN — A former police lieutenant with the Edcouch Police Department accused of staging a drug seizure in order to steal cocaine from the agency’s evidence room was sentenced Tuesday, according to a release from the Southern District of Texas U.S. Attorney’s office. More than two years after federal agents arrested Vicente Salinas in connection with an investigation into a drug trafficking organization working in the Rio Grande Valley, U.S. District Judge Ricardo H. Hinojosa sentenced the former lawman to more than three years in federal prison. Salinas was arrested in early April 2016 by U.S. Homeland Securities Investigations agents who led an investigation into an unknown drug trafficking organization working in the Valley. The charge stems from a March 18, 2013, seizure when Edcouch police officers discovered 17 kilograms of cocaine in an abandoned taxi. The cocaine, which was wrapped in 15 bundles, was transferred to the Edcouch police station where it remained in storage for about four days, according to the criminal complaint filed against Salinas. But when High Intensity Drug Trafficking Area, or HIDTA officers received the bundles from Edcouch police, they discovered four of the 15 bundles contained not the aforementioned cocaine, but instead blocks of wood, leaving the remaining 11 bundles to weigh approximately 12.7 kilos, according to the complaint. “Salinas admitted he had participated in the theft. He confessed he was part of a scheme to steal the bundles shortly after officers initially logged the 15 bundles into evidence,” the release states. Salinas’ arrest took place about a month after federal agents arrested four members of a drug trafficking organization accused of hiring corrupt law enforcement officers to help coordinate fake drug seizures in Edcouch and Houston and later sell the stolen drugs, court documents show. The 43-year-old man had worked in law enforcement for nearly a decade with several different agencies in the Valley, including the Hidalgo County Sheriff’s Office as a jailer and as a peace officer with the Weslaco, La Villa, Progreso, Santa Rosa, Edcouch and Elsa police departments, according to the Texas Commission on Law Enforcement records. Salinas’ conviction is the third in nearly as many years involving law enforcement and the theft of drugs. Mendez to 25 years in federal prison for his role in a similar scheme. The government alleged that on July 28, 2012, Mendez staged a seizure of approximately 14.9 kilos of cocaine. Prosecutors alleged days before the staged seizure Mendez had diluted the cocaine in order to cover up the fact he had stolen some of it and resold it for a profit; something the government said Mendez had done in the past. Most recently in April, U.S. District Judge Micaela Alvarez sentenced a pair of San Juan police officers to 24 months and 16 months in prison, respectively, for their roles in a case connected to the alleged theft of 3 kilos of cocaine, saying their actions tainted public trust in law enforcement. The government accused Salvador Hernandez and Richard Leon Castillo of stealing bundles of cocaine from a seizure on the morning of Aug. 27, 2016, near Moore and Stewart Roads. A trial in May of this year was the second trial involving the two men, who were acquitted by jurors of drug conspiracy charges on Dec. 18, 2017, after a week’s worth of testimony. But Castillo had also been found guilty of lying to federal agents — the same fate Hernandez met in the May trial. Salinas avoided a trial when he pleaded guilty in Dec. 2016 to a drug conspiracy charge, court records show. Salinas, who will remain free on a $50,000 bond, is expected to surrender “in the near future” to begin his 39-month prison sentence. Upon completion of his prison term, Salinas will be required to serve two years of supervised release, the release states.